Muyiwa has been making pictures for 30 years, ever since he first "borrowed" his dad's camera. The first time he got paid to photograph a wedding was 2005 (he'd been shooting well before that), and he fell completely in love with weddings at the very first one. 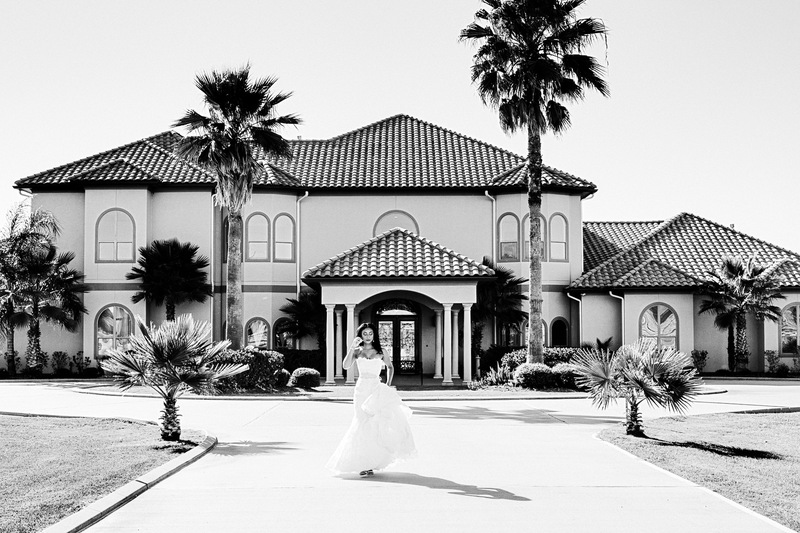 He believes that wedding photography should be fun, natural and relaxed and his goal is to show the emotions and connections between the couple and also their friends and loved ones. Of course he also takes beautiful pictures of details and the gorgeous surroundings as well. His favorite part of a wedding day is the first dance - he believes it really is possibly the most romantic part of the day, second only to the first kiss. He says the best part about weddings is that everyone is happy when he goes to work, and also after a client sees their pictures when they freak out and go "I never even saw that!" He likes to write about himself in the third person, because he thinks it makes him sound important. Deep down inside he knows its ridiculous but he hopes you don't hold it against him and focus on these beautiful pictures. For the last couple of years I've shot multiple weddings at the local courthouse on Valentine's Day. I absolutely love doing that, and I hope I'm able to make it an annual tradition! I'm 12 flight hours away from my private pilots license. My favorite thing is being a dad. I talk to my dad almost every day. I can't stand lines. Yes, I know everyone dislikes standing in line, but probably not as badly as I do. I once ate a hundred oranges. In an hour. I'm amazing at Wii tennis. I've actually considered giving people a discount if they could beat me. Cocky like that. I play chess every single day. I don't lose often. I constantly lose arguments with my daughter. It's so sad. Her logic is impermeable and her memory is absolute. One night, back when she had just turned 8, she was playing a game on her computer and I said -"Alright that's it - time for bed". And she said "Daddy, didn't you tell me to always finish what I start?" I love movies. I watch lots and lots of movies. I can enjoy almost any movie - I set my expectations accordingly. The longest I ever went without leaving my house was 13 days straight. It was awesome! I used to throw up before every wedding. I was nervous. I still get nervous, but I don't throw up any more. If I didn't have a DVR, I would never ever watch TV. People who do things with no reason really freak me out. Like random lane changes. I don't like texting. I have to stop everything else I'm doing to focus on the phone. I prefer phone calls - I can do other things at the same time. I'm fascinated by people who truly deeply love what they do for a living. They tend to be awesome. I wish guests would respect the ceremony and not run around DURING the ceremony trying to take pictures and ruining the images I've been paid to create. I wish all wedding clients had coordinators. It's so sad to see a bride all stressed out on the wedding day. It shows in the pictures. I wish I was always in town when my clients have babies. Photographing their babies at the hospital is one of my favorite things. Unfortunately I can't always be there. I wish I had my own Cessna. I can fly a plane, and it would be so freaking fantastic! I wish everyone was on time, all the time. So, basically, before any of your images are used anywhere, you will be contacted and you get to decide if you're comfortable with the images we have selected. You won't find images of you or your event all tagged on Facebook or featured on our blog unless you've been asked about them first.